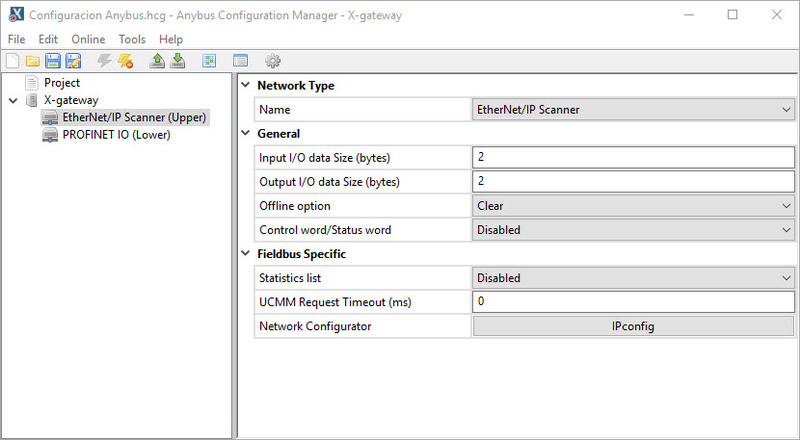 I’m using an Anybus X-Gateway (AB7670-F) for communicating to an Omron PLC in the Ethernet/IP scanner side of the gateway. Now it’s working perfectly well, but I had to add 4 bytes more in the Input part of the Omron PLC. I couldn’t see in the manual information about this 4 first bytes you must to add to communicate well. I can watch in the PLC memory that the first bit in the first byte shows the operational mode (0: idle, 1: running). Is it possible to delete this 4 first bytes? How? I’m not sure what would be adding 4 bytes. it could possibly be the control word, but this would add two bytes not 4 and from you screen shot I can see this is disabled. The Scanner would only be making the connection as specified in the scan list. Perhaps this is overhead needed by the controller? For sure this is not any overhead needed by the controller. I have tested again but with another EthernetIP device, an Omron remote IO (NX-ECC203) and I have experienced the same issue. In fact, in this case, this is a problem because as the gateway is adding 4 bytes, I have to connect additional output modules (4 bytes more) to establish the connection. 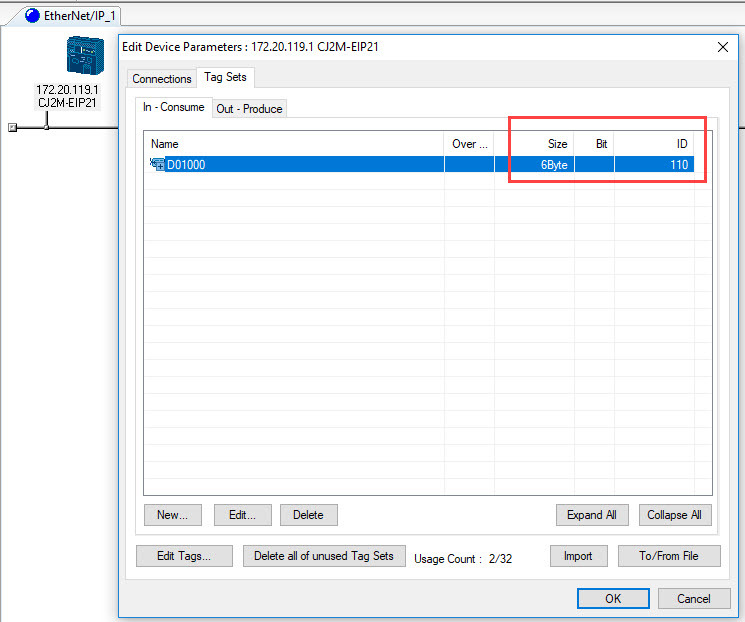 As I said, I configured 2 “Input I/O data Size” but in Wireshark it appears 8 bytes in the O->T size (I have seen that always there are 2 bytes more in this line, then 6 bytes at the end (4 bytes more of what I configured, AGAIN)). What would you suggest to do now? I was trying to setup a demo quickly here to see if i get the same results. I ended up with less time then I expected today. I’m also checking with my colleagues in Sweden regarding this. 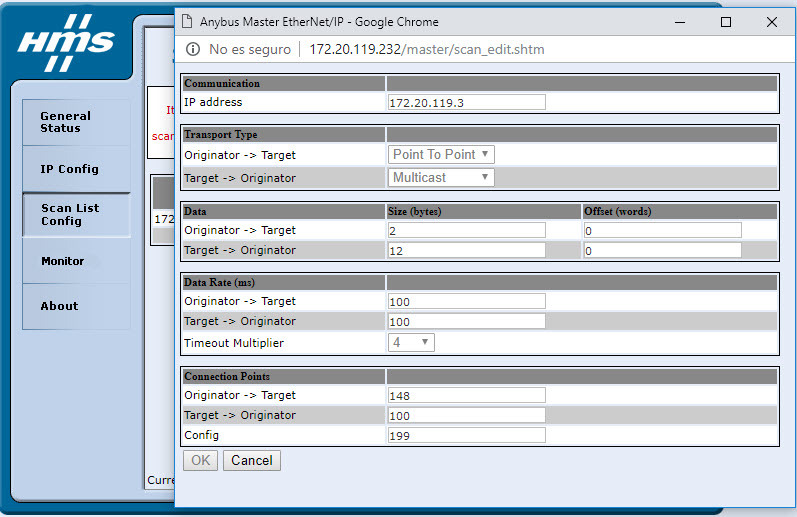 Could you upload the wireshark showing the request for us to take a look at? As I said, now I’m communicating with an Omron Remote IO. 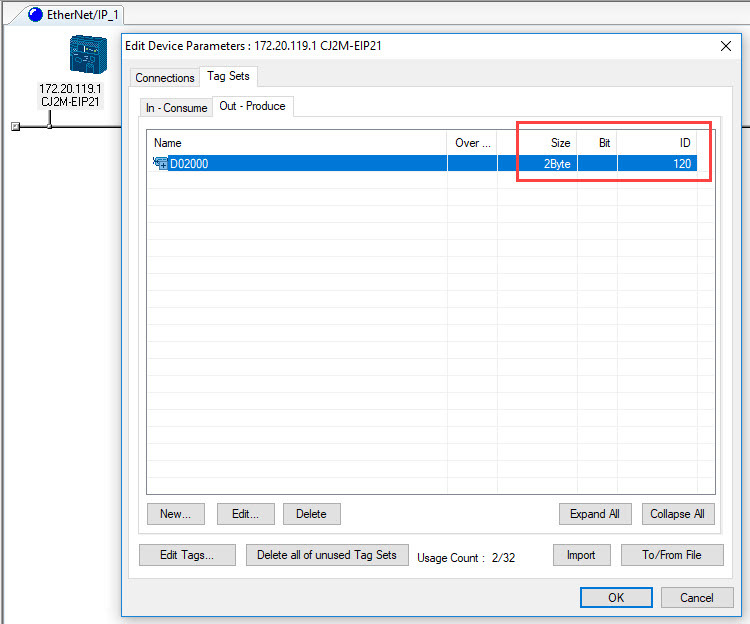 In the slave remote IO, as you can see in Sysmac Studio (Omron Software Configurator), it is configured 12 bytes Input and 6 bytes output, but due to the 4 firsts bytes added by the gateway I can just control from the Profinet Master the last output unit (highlighted). I attach wireshark showing to you the requests from the opening of the connection between x-gateway and the remote IO. The countermeasure I had to take was to add and disable 2 output units (4 bytes in total) in the software. 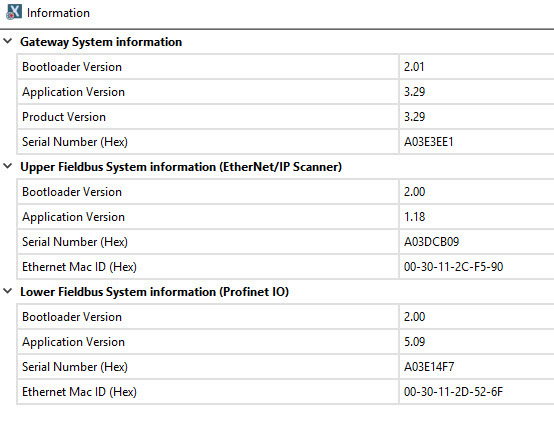 This configuration wouldn’t be necessary if the gateway didn’t add the 4 first byte in the communications. Here you have the information about the AB7670-F (maybe there is another firmware solving this “issue”). as you can see, the Run/Idle header is also there, but there are only 2 bytes of output data (I/O data). 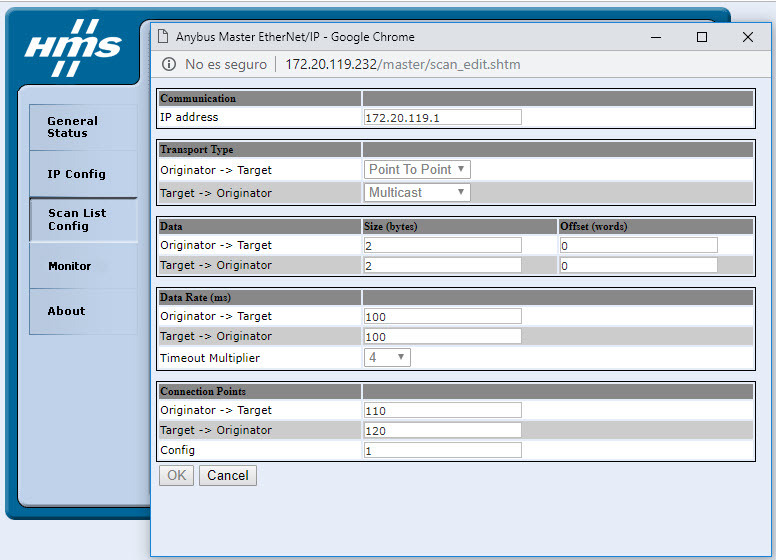 Furthermore, We setup an AB7072 as an Ethernet/IP Adapter and then used EIPScan Testtool to setup an I/O connection to the AB7072 (12 Bytes Input and 2 Bytes Output) and the Forward Open from EIPScan Testtool looked exactly the same as from our Scanner. This proves that our Scanner is setting up a correct I/O connection. I think it’s 2 bytes of some counter in each direction and 4 bytes Run/Idle header in the Output direction, so the actual size is 8 bytes in the output and 14 bytes in the input), however the raw I/O size (the payload) is still 2 bytes output and 12 bytes input. Is it possible to delete the 32-bit Run/Idle header in the output direction that it’s adding the AB7670-F? How? I am double checking, but I do not think this is something we can disable. Support for the run/idle header might be a requirement to be compliant. I would expect the Omron IO device to have an option to enable it, have you reached out to them to check if it is possible? I further confirmed that we can not disable the run/idle header from the scanner. Have you been able to talk to Omron regarding enabling the header?